One of the most frequent questions I get heading into the winter months is how to bundle up while still looking chic. I completely understand the challenges that come with attempting to achieve a warm yet stylish look and I think it all comes down to proportions. So, today I’m sharing two new looks that are perfect examples of how to pull off layers in a way that compliments your shape. A wrap coat like this is an ideal choice for the season because the belted waist instantly creates a flattering silhouette. I love this style because it also feels a bit dressier than traditional button-front wool coats, which makes it versatile enough to pair with jeans, work attire or evening wear. Other options to try are this faux-fur coat, this ladylike fit & flare coat or this faux shearling coat (great for those who live somewhere with milder winters). I’ve always loved the idea of wearing soft neutrals in the cold weather months – when done right, it looks so luxurious & sophisticated. This ivory faux fur vest is the epitome of cozy chic – I love that the back has a ribbed knit texture so it doesn’t feel overly bulky. It pairs so nicely with this soft cashmere turtleneck, which is an essential layering piece for the season. The lightweight feel is ideal for wearing under a blazer or tucked into a skirt with a moto jacket. 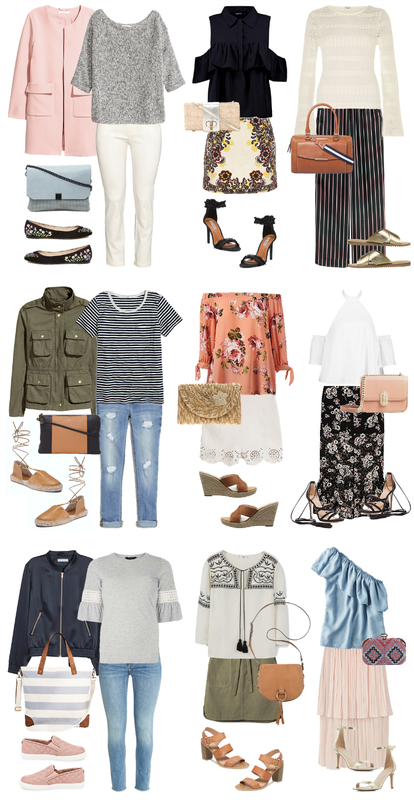 Every single piece I’m wearing here was found at Neiman Marcus Last Call – I like shopping their site because I know I’m getting high quality items at a fraction of the retail cost. Right now, you can get 30% off all women’s ready-to-wear, shoes & jewelry and 40% off cold-weather items (thru 11/1). I also picked up this lace-sleeve sweater, this feather trim top (perfect for the holidays) and I just added this rose gold watch to my birthday wish list. Thank you to Neiman Marcus Last Call & ShopStyle for kindly sponsoring this post.